You have a passion for writing and wanted to pursue your dreams. You wanted to make money from home and didn’t care how you did it. Honestly, I don’t care what group you’re in because the truth is, both groups deserve more than getting stuck writing crap content for pennies per word. I started out there, too. I was making one cent per word and didn’t care because it meant money in my bank account (very little, mind you). At the time, experts were telling me the same thing: I deserved better. You deserve better, too. Perhaps not yet $1 per word better (yes, some writers make that much and more), but a heck of a lot better than a penny or a nickle per word. Consider these reasons why you should stop writing for pennies and start getting paid more for your services. Working online is great. People do it to stay home and take care of their kids, to give them the chance to travel, and to increase their productivity. But why settle for the lowest end of the pay scale when you–yes you!–can change your wages? Because you control your clients. Because you control your rates. So if you’re serious about this freelancing stuff, get serious and start finding higher paying jobs. Even if you’re not the best writer in the world–and believe me, neither am I–your writing is worth more. Think about it. 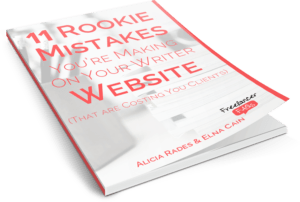 If the website you’re writing for publishes your content, attracts visitors, and sells their products, they’re making a lot more money than what they invested in your content. And if you’re delivering quality content that attracts even more people and more sales, you’re giving so much away for a very low price. Don’t you want a bigger cut? Not only do you want it, but you deserve it. So ditch those low-paying gigs and find clients who value your worth. If you think getting paid one or two cents per word is all that’s out there, you couldn’t be more wrong. There are plenty of jobs offering decent pay. With Google’s algorithm updates over the past few years, the expectation for content quality has skyrocketed, and that means that more people are willing to pay a fair wage for quality content. How do you get higher paying jobs? You know you deserve this, but how does this help you if you can’t find those higher paying jobs? The Internet is packed with resources on how to write quality content. Most of them are free. Use them. The Write Life: This blog teaches you about blogging, freelancing, fiction writing, etc. I promise you’ll learn some useful tips about the craft here. Write to Done: This is another great blog where you can find tons of tips for writing quality online content. QuickSprout: Neil Patel shares numerous free guides to help all small business marketers, but they’re handy for writers, too, especially his copywriting guide. Next, publish some content with your name on it. It really doesn’t matter if it’s on your blog, a friend’s blog, in your local newspaper, etc. as long as you have something to show potential clients (that also shows off how great of a writer you are!). My personal advice: send a guest post pitch to one of the top blogs in your niche and write for them. Don’t worry that you’re not an “expert” yet. As long as you have something valuable to offer their readers and you can deliver quality content (see #1 above), you should be good to go. Oh yeah, and stop worrying that you’re not any good or that you might get rejected. That’s not going to help you build your portfolio or your freelance writing business. You are good enough. You just have to start believing it. The key to this: Stop hiding in the corner, and put yourself out there! Now that you’ve got the whole writing thing down and you have a few examples to show just how great you are, it’s time to start seeking clients who will pay you more. Job boards like the Problogger Job Board. Avoid Craigslist. There are too many people looking to get cheap work out of you. Communities like the Freelance Writer’s Den (paid). Your writer website. Set up a writer website and use that to attract clients and sell your writing services. Now I want to hear from you. What’s keeping you from moving up in your freelance writing career and getting paid more? What Method Should I Use to Charge My Freelance Writing Clients? You’ve mentioned great ways to attract higher paying clients. I think another way is to have a professional looking website with a great brand message. FreelancerFAQ covers this in detail with their free eBook when you sign up to the newsletter! This is such a great post and a topic I’ve been seeing a lot of lately. I’m glad to see it here since there are so many writers who started out on content mills. I was one of them before I saw the “light of day”, so to speak. I can now see just how destructive they are to a freelance writer’s career and will never go back to them again. Thanks again, Alicia!